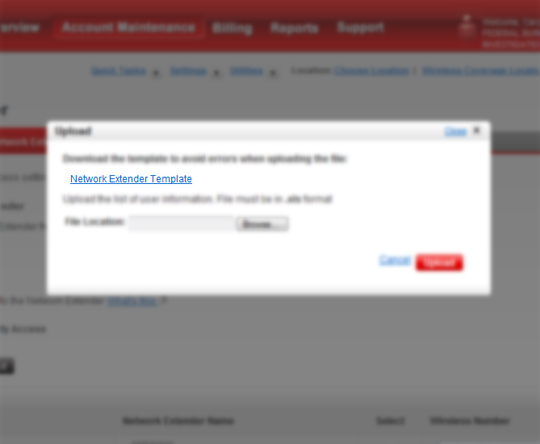 From the Upload Priority List screen, click Network Extender Template. 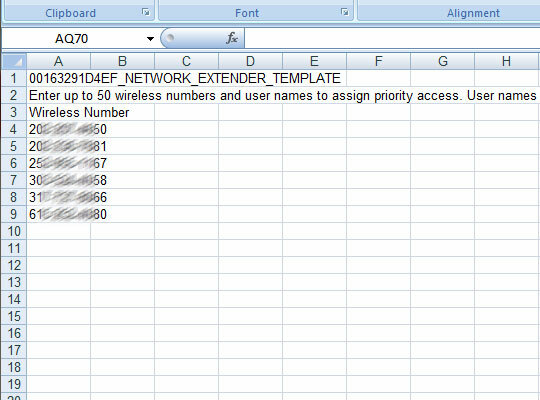 Enter the preferred wireless numbers then click Save ( located on the toolbar). Maximum of 50 numbers allowed. The file MUST be saved as a .xls. From the Setup Network Extender Upload screen, click Browse. 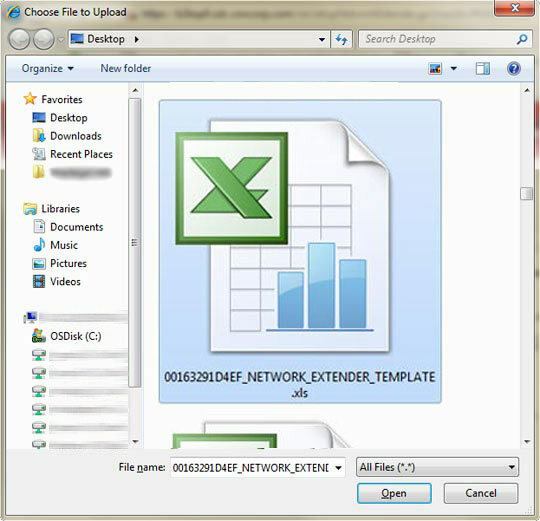 Navigate to and select the Network Extender Template file then click Open. Click Update (located in the lower right).